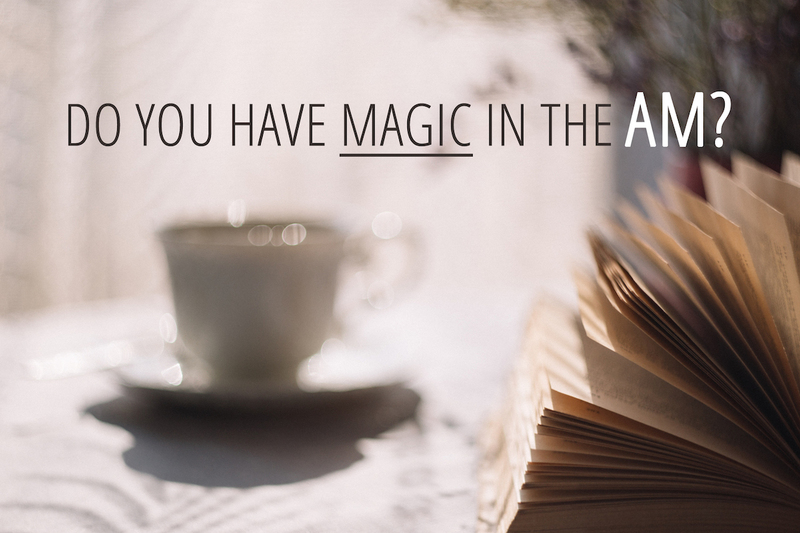 Do you have magic in the AM? Last week you saw how to add thirty 12-hour days to your life. But then what? To start, know that the most decisive moments of your day are right when you wake and right before you sleep. That means that your morning and evening time is vitally important to your success and well-being, because this is when your mind is most receptive to new programming. For now we’ll focus on that morning time and how you can set yourself up for success by using MEDITATION to increase your presence, peace, and creativity. But don’t stop there, of course! Remember: NEW HABIT = NEW REALITY! And let us know in the comments: Do you already have a preferred meditation time or technique? Share your practice! We need it. *If you want sustainable success in this or any area of your life, consistency is key. Keep at this even just 3 minutes a day and watch your biz-life happiness skyrocket. I raise the mornig of productivity. It not is determind is particular. Pleasant to be directed to the desk. Also the highest in the mornig to you too.